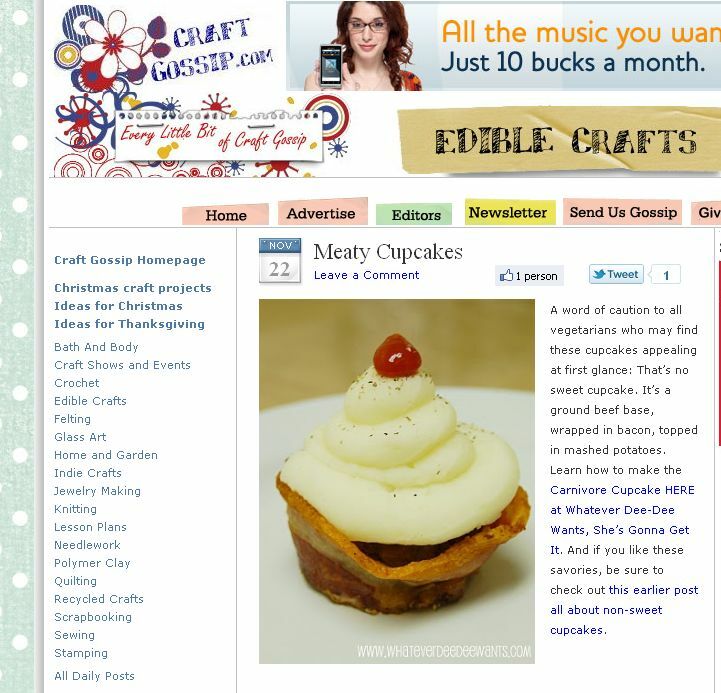 Look what Craft Gossip just featured, my carnivore cupcakes! Congrats on being featured! Those cupcakes look like fun! That is so awesome I love those cupcakes SO clever!